There are more than 4,500 Tim Hortons locations in Canada alone. Up in the Great White North, there’s a behemoth lurking. It’s already successfully conquered its native land, but now it casts its gaze across the southern border, dreaming of overtaking the U.S. as well. And while we’ve been distracted by our Starbucks and Dunkin’ Donuts, it’s been slowly making major inroads, most likely preparing for a full-scale invasion. Its name? Tim Hortons. Its weapon of choice? Doughnuts. And coffee. 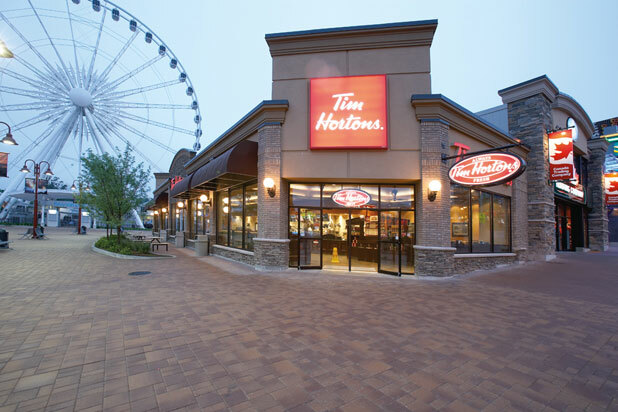 Tim Hortons currently has more than 4,500 locations in Canada, along with more than 800 in the United States. And while we haven’t needed to give it much attention until now, there’s one major reason why now is the ideal time to brush up on your Tim: Last month, Burger King agreed to purchase the company for a whopping $11.4 billion, move its own headquarters up to Canada, thereby creating what will be the third-largest fast-food conglomerate in the world. The chain’s first store opened in Hamilton, Ontario, in 1964, and since then has been expanding all over the map. By 1974, 40 stores were in operation, and by 1991 there were 500. Largely due to the chain’s rapid growth, many small Canadian doughnut chains and independent shops were driven out of business; at the same time Canada’s ratio of doughnut shops to residents surpassed that of all other countries. In short, when it comes to doughnuts and coffee in Canada, Tim Hortons has the market cornered. But who exactly was Tim Horton? How long have his outlets been sneaking over the border? And what happened to the apostrophe? For the answers to these questions, as well as a whole lot of more fascinating facts about this mega-chain, read on. The company generally opens about twice as many locations yearly as McDonald’s does, and commands a whopping 62 percent of the Canadian coffee market, compared to Starbucks’ seven percent. It also accounts for about a quarter of all fast food revenues in Canada. Miles Gilbert “Tim” Horton spent 24 years as a defenseman in the NHL, playing for the Toronto Maple Leafs, New York Rangers, Pittsburgh Penguins, and Buffalo Sabres, and was widely regarded as the strongest man in the game. Before opening the doughnut chain, he also tried his hand at a hamburger restaurant and a Studebaker dealership. 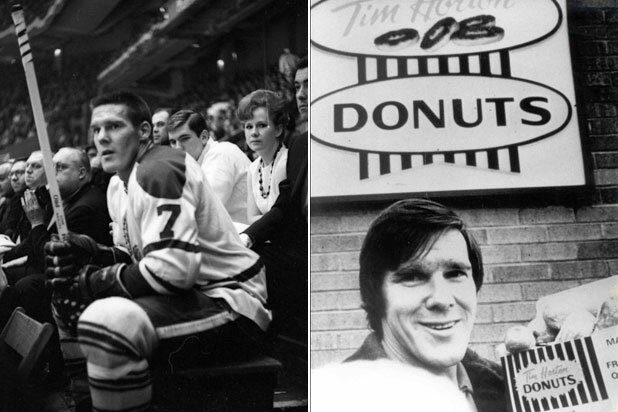 Click here for 11 more things you didn't know about Tim Horton's.